Why is Marvel's Black Panther Oscar nomination historic? On May 16, 1929, there was a private dinner. It was held at the Hollywood Roosevelt Hotel in Los Angeles, California. At that small dinner, 270 people each paid $5 (which would be about $74 today) to watch a short fifteen-minute award presentation. No radio show. No television show. It was a private dinner beginning the biggest award presentation in movie history. At that small dinner the Academy of Motion Picture Arts and Sciences (AMPAS), honored the best films of 1927 and 1928. At the time there were two awards given for what we now know as Best Picture: Outstanding Picture and Unique and Artistic Picture. There were only six movies nominated for the two awards. Unlike today, where the winners are secret, the winners were announced three months before. A romantic silent movie set during World War I named Wings won Outstanding Picture. A 1927 American silent romantic comedy-drama named Sunrise: A Song of Two Humans won Unique and Artistic Picture. The next year the Academy said "skip that noise", and got rid of the Unique and Artistic Picture award. They also decided to retroactively make Outstanding Picture the highest honor that could be awarded. That meant Sunrise's Oscar was taken away. In a way, this is the first time that the Oscars snubbed a movie. Since that humble beginning, there have been 90 awards shows. A movie based on a comic book has never won Best Picture. As I wrote in my piece earlier this week Black Panther has a chance at winning Best Picture. But Black Panther's odds to win Best Picture category are low. Superhero movies and serials have been made since the 1940s and none have ever been nominated for Best Picture. The first big budget superhero movie is Richard Donner’s 1978 Superman movie. It's groundbreaking in its special effects and realistic approach to the comic book character. It wasn’t nominated for an Oscar for Best Picture. But it did snag nominations for three Academy Awards (Best Film Editing, Best Original Score, and Best Sound). It also got a Special Achievement Academy Award for its visual effects. Most of the Best Picture awards go to dramas and, if Black Panther wins, would be the first movie in the top 25 biggest blockbusters to win gold for the top prize. 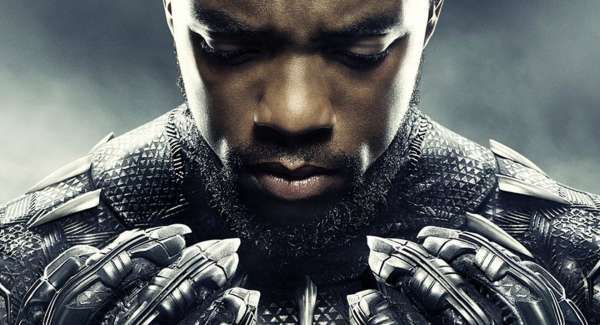 Ryan Coogler's epic movie is the ninth highest-grossing film in box-office history. With this nomination, Black Panther becomes the third highest-grossing Best Picture nomination behind Avatar and Titanic. Dozens of superhero movies have been ignored by the Academy. But the biggest omission was Christopher Nolan’s 2008 Batman movie The Dark Knight. Not only did it’s soulful narrative capture the attention of critics but it captured audiences and became the second biggest box office of the decade. The lack of gold was especially unusual. Everyone was talking about how much the movie deserved the Best Picture nomination. Time lists it as one of their 10 biggest Oscar snubs of all-time. Heath Ledger’s gripping and mind-blowing performance as the "Clown Prince of Crime" The Joker blew everyone away. Ledger even won a posthumous Best Supporting Actor award. The Dark Knight already made history by the Academy as it snagged record eight Oscar nominations for technical awards. Several movies since The Dark Knight were considered strong contenders for Best Picture including the 2017 Wolverine movie Logan. Every year it becomes more infuriating. Especially since a related genre, science fiction won its first Best Picture award for The Shape of Water last year. There have been a few times when a movie based on a comic book or graphic novel has been nominated for Best Picture. For example, David Cronenberg's 2005 crime drama A History of Violence is based on a 1997 graphic novel by John Wagner and Vince Locke. It was nominated in the categories of Best Adapted Screenplay and Best Supporting Actor, but not Best Picture. That’s even though that the movie pulled in a ton of awards including a Best Picture award from the Golden Globes. But who cares? It's not like movies based on books are chosen for Oscars right? Wrong. Tons of movies based on traditional books have won. 1939s classic movie Gone with the Wind is based on a book by Margaret Mitchell. The 1991 Best Picture award went to The Silence of the Lambs which is based on a book by Thomas Harris. So it’s a glaring omission that movies based on comic books are excluded. Marvel's epic film is already the first movie based on a comic book to be nominated for a Best Picture award. But if it wins it breaks another record. After the 2015 Oscar nominations were announced blogger April Reign saw a problem. She decided to call attention to the low number of minorities recognized for their contributions to Hollywood. She started using the #OscarsSoWhite hashtag in protest. "It’s not because there’s a lack of quality films that star or feature people of color; that’s not the issue," she told MTV. "There was an article in The Atlantic recently which indicated who the Oscar voters are. They are 94 percent white, 76 percent male, and the average age is 63 years old … and they might not be as interested in seeing "Selma'." Quincy Jones' A Color Purple was nomnated but didn't win. 20 years later the first black director, Lee Daniels, was nominated for the 2009 Best Picture thanks to Precious. A handful of movies with black producers or directors nominated in the history of the Oscars. In the last few years, more black directors have taken the gold. Movies like Barry Jenkins' Moonlight and Steve McQueen's 12 years a Slave. If Ryan Coogler's Black Panther wins it would be another step forward for black cinema. Black Panther is a ground-breaking film. A movie with a black director and predominantly black cast and crew defied the odds to get a nomination. We'll find out if the movie can defy the odds and win Best Picture. What do you think of Black Panther's chances to win Best Picture? Let us know in the comments below!